The moment many of you have been waiting for is here: Samsung has officially launched the Galaxy S II at the Mobile World Congress in Barcelona last night. The phone had been rumored a while ago. 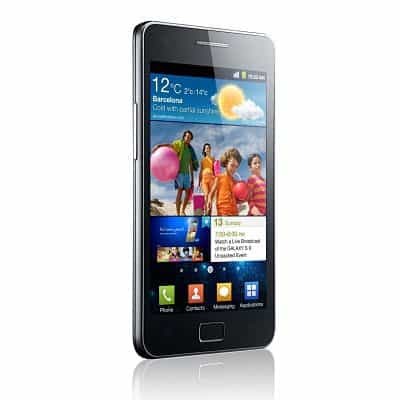 The new Galaxy S II (model name is GT-I9100) is definitely a smartphone that perfectly fits in today’s tech trends. It features a dual-core processor and runs Android 2.3 Gingerbread and it is also very thin (8.49 mm). As expected, there are already people saying that it’s “another iPhone-wannabe,” but I think that’s too much of a compliment to Apple.. You can easily say that Samsung is trying (successfully so) to offer an Android alternative to Apple, and this phone completely surpasses the iPhone 4 in nearly every way possible. The screen is a Super AMOLED Plus one, even better than the one in the first Galaxy S (and that one was very good), and has a 480 x 800 pixel resolution. The phone also features a very fast data transfer via HSPA+ 21, as well as Bluetooth 3.0. I’m sure your curious about the camera, it is 8 megapixels and it can record Full HD 1080p video; quite the step up from the previous 720P recording on the first Galaxy S. Not to mention a new feature, WiFi direct, which allows you to connect directly to printers or computers from your phone. I don’t usually give out verdicts before I testing out a phone, but the new Galaxy S seems like a great improvement over its predecessor. I would love to get this phone. Im a Galaxy S owner, but this is going to be my next phone.